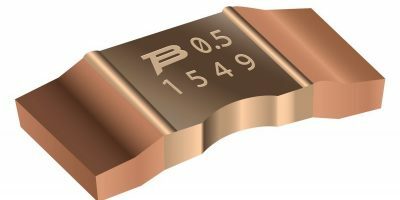 Available in two- and four-terminal options, the CSS series high power current sense resistors from Bourns is now available in Europe through TTI. The two-terminal models are available in three different footprint sizes, 5930, 3920 and 2512 (6332 metric). Resistance values can be down to 0.2mOhm and each family will have a range of low resistance options and power ratings of up to 15W. The four-terminal design allows for high precision 4 kelvin resistance measurements and is available in size 4026. TTI is an authorised, specialty distributor of interconnect, passive and electromechanical (IP&E) components and distributor for industrial and consumer electronics manufacturers worldwide. Globally, the company maintains two million cubic feet of dedicated warehouse space containing over 850,000 component part numbers. Along with its subsidiaries, Mouser Electronics, Sager Electronics, and Symmetry Electronics, TTI employs over 5,400 employees and is represented in over 100 locations throughout North America, Europe and Asia.